Your Beauty Career Starts Here! With a cosmetology career, your horizons are unlimited. 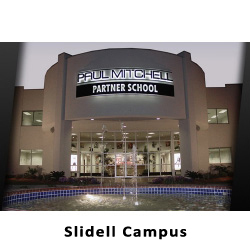 Vanguard Paul Mitchell Partner Schools are thriving in the State of Louisiana, and everyone on our staff is committed to helping you find the right home, wherever your dreams may take you. Every Vanguard Paul Mitchell Partner School is designed to teach you the skills you'll need, help you learn the business, and inspire you to explore the passion and creativity that will make your cosmetology career in the beauty industry both fun and rewarding. Prospective employers recognize our commitment to quality and our reputation for innovation and excellence. At Vanguard Paul Mitchell Partner Schools, we prepare you for the state board exams and much, much more—we prepare you to succeed in your cosmetology career at the salon or spa. More importantly than your success in business, we prepare you to succeed in life. 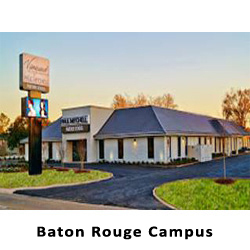 Click on one of the links below to visit one of our campus sites and check out the courses we offer, find out how to get started today, learn more about each local campus, and more! 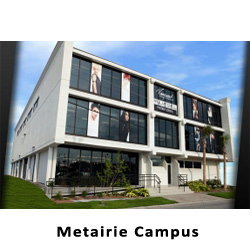 To get started on your way to a fulfilling career in the beauty industry, say YES to your future!